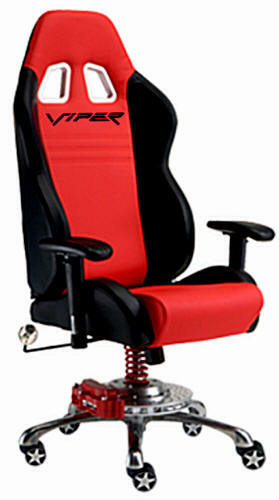 Viper office swivel chair features relining leatherette racing seat with VIPER word insignia. 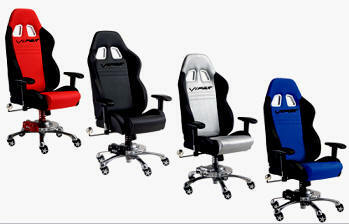 Includes arm rests, 6-speed shifter to adjust your ride height, SRT brake rotor with caliper, a shock coil over center and a polished aluminum 5-spoke base. Ride in style!